Keysight Technologies' 5G Conformance Toolset is the first test solution to be approved for 5G New Radio (NR) device certification by PTCRB, a certification forum comprised of select leading cellular operators, accelerating commercial availability of 5G mobile devices across the ecosystem. The milestone was achieved as a result of the extended collaboration between Keysight and Qualcomm focused on verifying the validity and behavior of the radio frequency (RF) and protocol conformance test specifications as defined by 3GPP. The University of New Hampshire InterOperability Laboratory (UNH-IOL) is introducing a testing service covering the new IEEE 802.3bs and the new IEEE 802.3cd specification for 50, 100, 200 and 400 Gigabit Ethernet based on PAM4 signaling. UNH-IOL said the need for Ethernet speeds exceeding existing 100 Gigabit (based on 25G NRZ signaling) is being driven by exponentially increasing capacity demands across the board. Cloud service providers are looking to the higher efficiency and density that 50Gb/s PAM4 technologies (scalable up to 400Gb/s) Ethernet offers as they build out massive cloud-scale data centers, while the surge in mobile connectivity has telecoms pursuing higher speed Ethernet services. 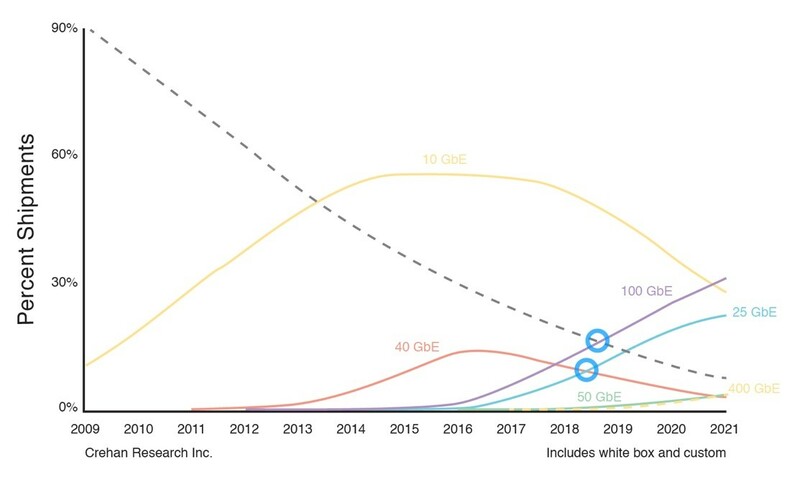 Additionally, bandwidth demand continues to grow at data centers tasked to service high-bandwidth, rich media applications such as video streaming, online gaming and digital marketing. 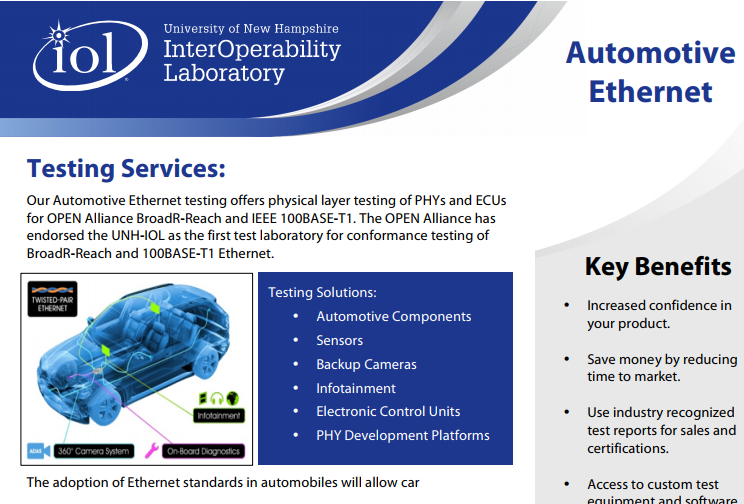 In response, the UNH-IOL has taken a leading step to provide Ethernet stakeholders with testing services for 50, 100, 200 and 400 Gigabit through the multi-million dollar investment in new state of the art testing equipment. 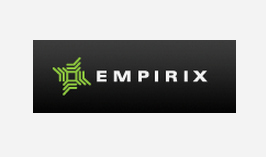 Empirix has been awarded a 3-year contract valued at US$19 million. The unnamed, tier 1 North American mobile operator selected Empirix to improve the quality of performance for their mobile voice, VoWiFi and VoLTE networks, to score and increase customer experience satisfaction, and reduce OpEx related to MTTR. Empirix provides an end-to-end view of voice service over any radio technology with real time analytics for a proactive and predictive approach to the service. The software solution, which is comprised of Empirix’s EXMS and IntelliSight solutions, will identify Quality of Experience anomalies and ensure customer satisfaction and operational efficiencies of the provider’s new network by establishing Quality of Service baselines and measuring performance gains. EXFO reported sales of US$64.7 million in the second quarter of fiscal 2018, up 7.8% year-over-year. Sales were up 5.2% to US$128.1 million at the halfway mark of the company's fiscal year. In January 2018, EXFO assumed full control of Astellia, a global leader in the performance analysis of mobile networks and subscriber experience. Sales, excluding the one-month contribution of Astellia, attained US$62.9 million in the second quarter of 2018 compared to US$60.0 million in the second quarter of 2017. Astellia contributed US$1.8 million in sales in the second quarter and first half of 2018. Astellia's sales were reduced by US$0.3 million to account for acquisition-related fair value adjustment of deferred revenue. IFRS net loss attributable to the parent interest totaled US$4.7 million, or US$0.08 per share, in the second quarter of fiscal 2018 and US$2.0 million, or US$0.04 per share, at the halfway mark of the fiscal year. In comparison, net earnings attributable to the parent interest totaled US$1.0 million, or US$0.02 per diluted share, in the second quarter of 2017 and US$4.3 million, or US$0.08 per diluted share, in the first half of 2017. Adjusted EBITDA totaled US$2.5 million, or 3.9% of sales, in the second quarter of 2018 and US$8.6 million, or 6.7% of sales, in the first half of the fiscal year. "I am thrilled with the closing of the Astellia acquisition as it positions EXFO among the top five providers worldwide of service assurance solutions," said Philippe Morin, EXFO's Chief Executive Officer. "Together, we have created a strong critical mass with solutions deployed at more than 250 network operators, while our global sales organizations have been merged to maximize cross-selling opportunities. Similarly, our unique portfolio of complementary technologies will be combined to deliver unmatched capabilities in high-growth markets like NFV/SDN, IoT and 5G. Although this transformative acquisition involves a short-term financial impact, we expect the additional sales volume, cross-selling opportunities, efficiencies as well as complementary technology and service offerings will contribute to earnings growth in fiscal 2019." "In addition, I am pleased with the strong performance from our Physical-layer product line in the second quarter of 2018," Mr. Morin added. Spirent Communications has expanded the functionality of its CyberFlood and Avalanche solutions by adding performance and scale testing for the new TLS v1.3 encryption protocol. The new functionality enables testing and stressing traffic capacities on TLS v1.3-enabled devices and endpoint applications. TLS (transport layer security) enables secure communication between web browsers and servers on the Internet. TLS v1.3 is the latest version and is quickly becoming the de facto encryption standard. ETSI and OPNFV announced plans to co-locate their next community testing events in Sophia Antipolis, France. The third ETSI NFV PlugtestsTM event will be held between 29 May and 8 June 2018, and the OPNFV Fraser Plugfest will be held from 4 to 8 June. Keysight Technologies is working with Ball Aerospace and Anokiwave to validate the first commercial 5G NR active array antenna product designs in the 26 GHz band. Viavi Solutions agreed to acquire the Test and Measurement business of Cobham plc for $455 million in cash. Viavi said the acquisition strengthens its competitive position in 5G deployment and diversifies the company into military, public safety and avionics test markets. Cobham AvComm and Wireless T&M provides testing solutions for communication service providers' networks from the radio access network through to the network core. It has also served military, public safety and aviation markets for decades with its trusted land-mobile radio and avionics test solutions. The business generated more than $200 million of revenues in calendar year 2017. Intel, Deutsche Telecom and Huawei conducted an over-the-air test showcasing 5G interoperability and development testing (IODT) based on the Release 15 NSA 5G NR specification. The test used Huawei's 5G commercial base station and Intel's third-generation 5G NR Mobile Trial Platform. The configuration was based on the largest C-band cell bandwidth defined by the 5G NR standard, incorporating the latest Massive MIMO multi-antenna and beamforming technology. Massive MIMO uses a large array of antennas to provide precise control of a beam to improve network coverage and to reduce overall network interference. Spirent Communications has updated its flagship security testing solution, CyberFlood, to support Transport Layer Security (TLS 1.3), a new encryption protocol. Specifically, this newCyberFlood Advanced Fuzzing update provides support for TLS 1.3 draft-19, draft-20, and draft-21. Transport Layer Security (TLS) is the underlying technology that enables secure communication between web browsers and servers on the Internet. EXFO released its new FTBx-5255 Optical Spectrum Analyzer (OSA) designed for the field testing needs of telecom service providers, internet content providers and network equipment manufacturers. A key capability of the new OSA is that it supports in-service network testing of the optical signal-to-noise ratio (OSNR) of 100G/200G/400G (Pol-Mux) signals, which means that service providers and ICPs do not have to interrupt their operations to perform these measurements. EXFO's new OSA also enables in-service network testing of O-band pluggables and L-band transceivers, as well as CWDM spectral analysis. 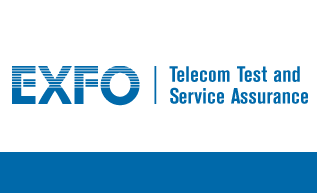 "Customers have repeatedly expressed a need for a non-intrusive way of measuring OSNR on high-speed networks, to ensure they're meeting customer expectations for quality of service," said Stéphane Chabot, EXFO's Vice President, Test and Measurement. "Our new portable optical spectrum analyzer equips service providers, internet content providers, and NEMs for testing live networks, saving them time and significantly reducing operating expenses while making troubleshooting faster and better. No one else can offer them the ability to address all OSA testing applications with a single module." The FTBx-5255 is available in EXFO's FTB-2, FTB-2 Pro and FTB-4 Pro portable test platforms as well as in the LTB-8 platform for rackmount and lab applications. Anritsu Company has introduced its new signal quality analyser (SQA) MP1900A BERT (bit error rate tester) that enables measurement of next-generation PCI Express Gen 4 and 5 buses, as well as the latest 400/200 Gigabit Ethernet networks. Offering comprehensive interface support, the MP1900A solution is an all-in-one tool designed to provide accurate measurements for the next-generation, high-speed electronic and optical devices and optical transceivers utilised in high-end servers, communications equipment and optical transceivers/modules, including for M2M and IoT applications. Anritsu's new signal quality analyser MP1900A supports simultaneous multi-channel measurements, PAM4 BER tests and PCI Express link negotiation and is designed to help engineers verify next-generation high-speed interface designs. The SQA MP1900A BERT allows users to accurately evaluate high-speed interface designs during the early development stage. The products all-in-one extendible platform can be used to measure the performance of network-side interfaces, such as 400/200/100 Gigabit Ethernet, as well as internal PCI Express bus interfaces, and thereby help reduce design evaluation times and costs. The solution integrates a Pulse Pattern Generator (PPG) that provides typical intrinsic jitter of 115 fs rms and typical Tr/Tf of 12 ps, while total peak-to-peak jitter is typically no more than 6 ps and typical input sensitivity for the internal error detector (ED) is 15 mV. The solution additionally offers multiple features designed to further improve testing accuracy and efficiency, notably a link negotiation function that provides support for high-speed digital interface standards that allows connection of the MP1900A to the DUT for enhanced bus interface evaluation. Engineers can use this function to conduct PCI Express Gen 4/5 testing, LTSSM status analysis, jitter generation and CM/DM (common mode/differential mode) noise injection. Additionally, MP1900A provides a jitter measurement function for evaluating signal integrity, while the 10Tap emphasis function and equaliser function can be utilised to characterise test signals according to transmission path loss. 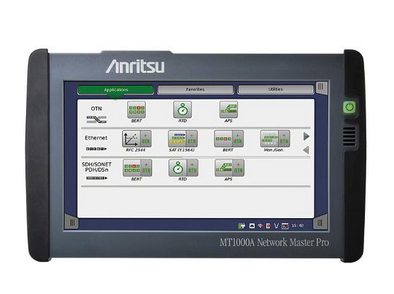 Anritsu's SQA MP1900A BERT can be configured with peripheral equipment to increase measurement capabilities. Specifically, an integrated solution featuring the MP1900A can support generation of the 32 and 64 Gbaud PAM4 signals required for 200 and 400 Gigabit Ethernet measurements, BER measurements, jitter and amplitude noise injection and emphasis addition. Enea of Sweden, a supplier of network software platforms, has announced the introduction of Enea NFV Access, a lightweight virtualisation platform designed for customer premise deployment at the network edge. Enea NFV Access is optimised to provide a minimal footprint, high throughput solution for virtual network functions (VNFs) running in KVM and Docker containers. NFV Access supports both ARM and x86 white box solutions, enabling operators and service providers to address a range of price and performance points while utilising a common platform and management interfaces. Enea's NFV Access is designed to meet the specific requirements of enabling virtualisation on edge devices, eliminating the need for a full OpenStack deployment to provide a lightweight platform. The solution, along with VNFs, can run on as few as two cores without limiting throughput or performance, while support for container virtualisation enhances VNF density and reduces total system footprint. In addition, NFV Access allows mixing of containers and virtual machines on the same platform, enabling both greater flexibility and offering a migration path from VMs to containers. The key components of Enea NFV Access include virtualisation via KVM and Docker, optimised vSwitch, a full FCAPS management solution, VNF lifecycle management, service function chaining (SCF) capacity and an optimised data plane supporting 10 Gbit/s line rate from VMs and containers. The solution also features open, standards-based interfaces, making it hardware agnostic and fully portable, offering interoperability with popular VNFs. NFV Access supports VNF lifecycle management and service function chaining via a range of northbound interfaces, including NetConf, Rest, OpenStack and Docker, which can either interface orchestration directly, or interface to a control node in a central office or point-of-presence (PoP). This functionality enables the solution to be integrated with existing networks and orchestration solutions, simplifying virtualisation of network functions at the edge. In combination with the company's previously announced NFV Core platform, Enea now addresses three vCPE deployment scenarios: central office and PoP via NFV Core; customer premise deployment with Enea NFV Access; and distributed scenarios by combining both platforms. Recently, Enea, together with China Mobile, ARM and Cavium, announced an agreement to collaborate in the China Mobile Open NFV Testlab via Enea's OPNFV-based NFV Core platform and Cavium's ARM-based ThunderX workload-optimised data centre server processors. The work was to include validation of NFV tests cases such as vCPE, vBRAS, vEPC and vIMS and support for Open Network Automation Platform (ONAP). 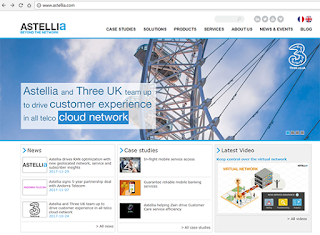 In April this year, Enea unveiled its NFV Core deployment-ready NFV software platform targeting central office virtualisation at the network edge. EXFO, the network test, monitoring and analytics company, announced the launch of the FTB-740C-CWDM product, a tunable optical time domain reflectometer (OTDR) for testing all 18 ITU-defined CWDM channels using the compact FTB-1 platform and without the need to swap modules. The new EXFO solution is designed to ensure that multiple-service operators (MSOs) and contractors have the CWDM wavelength required for characterising through multiplexers and demultiplexers (mux/demux) to provide end-to-end link characterisation and troubleshooting for commercial services, C-RAN networks and metro Ethernet deployments. In addition, EXFO's latest OTDR is designed to scale in line with customer requirements and allows users to start with as few as eight wavelengths. From the base configuration, customers can add further CWDM wavelengths or other fibre characterisation features as required via software update in the field. 1. 18 x CWDM channels covered on a single OTDR port. 2. Support for in-service testing of active networks. 3. Offers high-resolution and short dead zones. 4. Facility to select favourite or imported channels list. The OTDR is available in standard and Pro models, housed in the FTB-1v2 lightweight and compact test platform, enables field technicians to carry out dedicated optical, Ethernet and multi-service test applications.